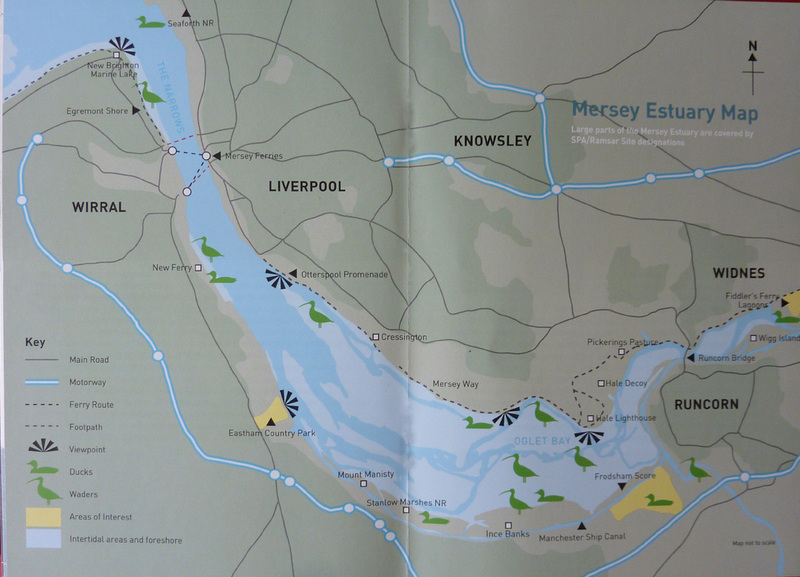 The Upper estuary, between Warrington and Runcorn is narrow and consists largely of a single, meandering channel. At Runcorn the estuary is constricted through the “Runcorn Gap”, a narrow outlet between sandstone ridges running roughly north / south. Below Runcorn the estuary opens out into a wide basin, the Inner estuary. This is characterised by the presence of extensive intertidal sand and mud flats with areas of salt marsh on both banks. Historically the positions of the low water channel and the shape and height of the banks in the Inner estuary have varied, migrating from one side of the estuary to the sandbanks. Seaward of the Inner estuary the underlying geology has forced the channel into a long, straight section - The Narrows. This is subjected to strong tidal currents that prevent the accumulation of sediments and has resulted in a channel reaching depths of up to 20 metres. Finally there is the Outer estuary which is bounded to the seaward end by a line between Formby Point to the north and Dove Point on the north Wirral coast, to the south. The Outer estuary consists of an extensive area of intertidal sandbanks. The Crosby and Queens Channels are maintained through these by dredging between training banks.